The pepper tree in Pepper Tree parking Lot will be the focus of this year’s event. 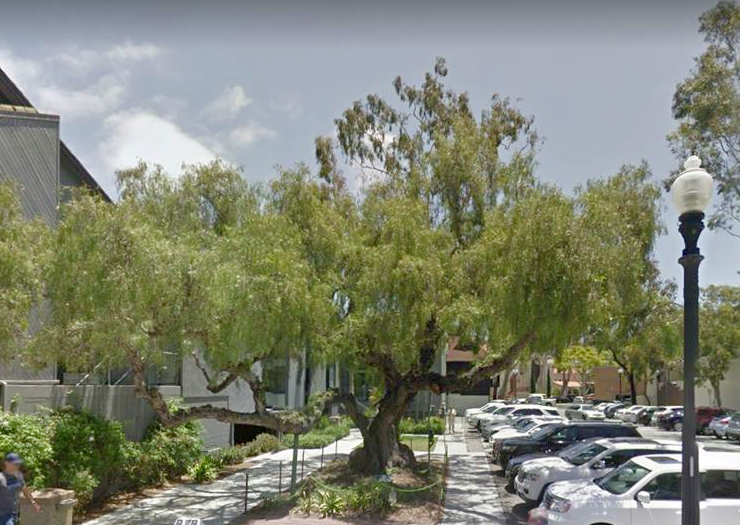 The town’s Hospitality Night will take place on Friday, Dec. 1, from 5-10 p.m. and festivities begin in an untraditional location, the Peppertree Parking Lot between Ocean and Forest Avenues, the city manager’s report says. Santa Claus is expected to greet fans for a 6:10 p.m. tree lighting, which will focus on the lot’s long-limbed namesake specimen. The much-anticipated 50th annual event was relocated from City Hall because its once towering century-old pepper tree, traditionally strung with lights, was cut recently due to its poor health. Early arrivals to the parking lot will appreciate the musicianship of the Thurston Middle School band and the Community Concert Band performing in a new Beach Street venue. Both band performances precede Santa’s arrival by an hour. The El Morro chorus sings carols next to Santa’s Hut on Forest Avenue about 5:30 p.m. The lot will also host arts and crafts and card-writing to military personnel. Filling out the festivities will be a live band performance sponsored by the Chamber of Commerce at the far end of Forest Avenue, a sing-a-long and tamale sale at Presbyterian Church, and refreshments from merchants staying open late. Street closures in the downtown area will begin at 3:30 p.m. Portions of Forest, Ocean, Beach and the Pepper Tree Parking Lot will be closed to cars. 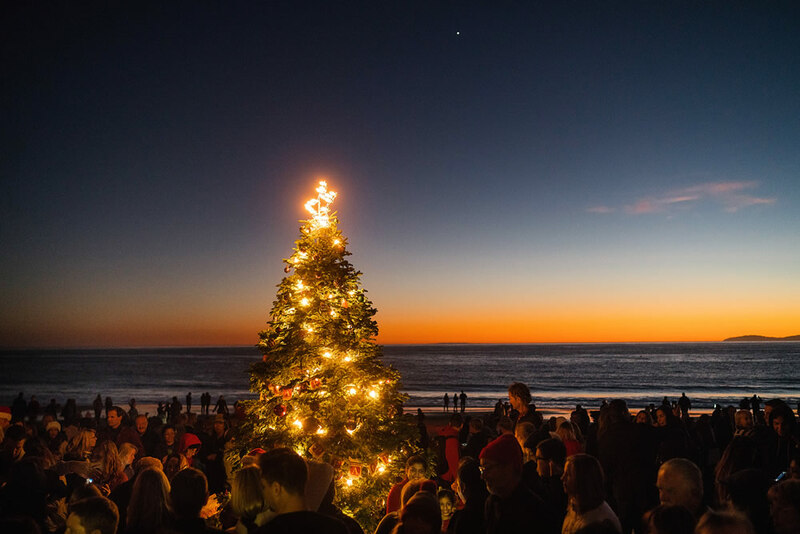 Christmas on the sands of Crystal Cove State Park. 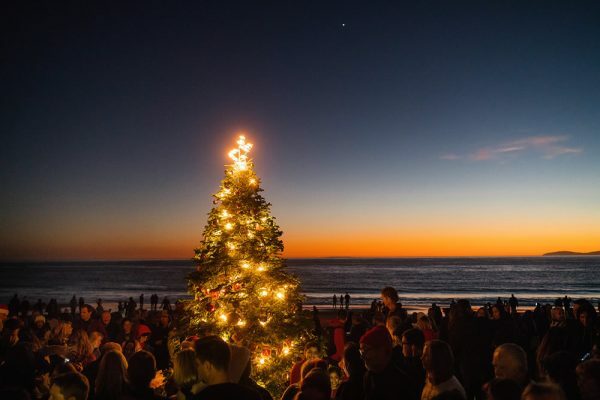 A winter family festival in Crystal Cove State Park kicks off Saturday, Dec. 2, in the historic district, decorated by volunteers with mid-century décor to reflect its heyday between 1935 and 1955. Festivities begin at 10 a.m. with a bazaar featuring handcrafts, carolers, complementary refreshments and Santa arrival at 4 p.m. for family photos. A child selected by the Make-a-Wish foundation will throw the switch to light up the tree about 5:15 p.m. Guests can park at the Los Trancos parking lot on the inland side of Pacific Coast Highway for $15. 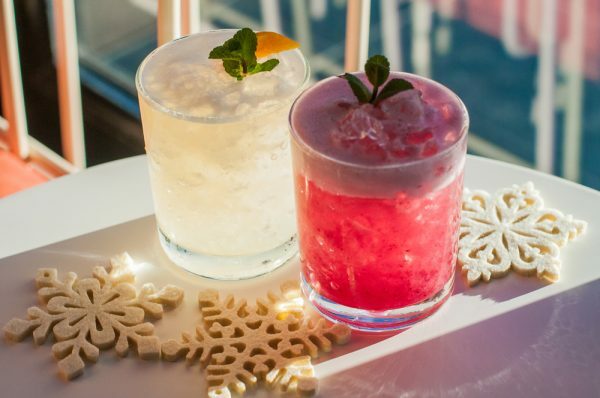 Learn how to stir up holiday spirits while enjoying some as well. Monarch Beach Resort in Dana Point is offering special holiday activities including cocktail and painting lessons. Mixology classes begin on Saturday, Nov. 25, and Saturdays in December from 3-5 p.m. The cost is $40 per person and includes cocktail making instruction and sampling. In the resort’s Wine Room, take a painting lesson with Tony Goodwin on Friday, Nov. 24, and all Fridays in December, from 5-7 p.m. The cost is $50 per person and includes canvas, paints and two glasses of wine. Celebrate the fifth night of Hanukkah on Saturday, Dec. 16 with a 21 and over comedy show with comedian Brian Kiley from 7-9 p.m. Tickets will be available for purchase through Chabad Jewish Center of Laguna Beach, 949-499-0770. The resort is offering room specials as well.